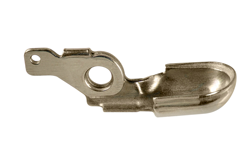 Meier manufactures high-precision metal stampings and subassemblies for the medical device industry. By paying attention to the smallest details, we excel at developing lower-cost solutions to the complex and micro-sized design challenges our customers face. We support our customers with comprehensive design assistance, prototype services and manufacturing capabilities throughout the product lifecycle from concept to high-volume production. For more than 30 years, Meier Tool has mastered close-tolerance high-precision manufacturing for mission critical systems and has become a premier contract and subassembly manufacturer. We offer a powerful portfolio of stamping production capability customized for even the most exacting engineering tolerances. Our expertise includes CAD software design implementation, machining and metal injection molding conversions, and high-precision prototype manufacturing. Our skill, along with our suite of technologies, makes Meier a leader in extremely close-tolerance mission- critical subassembly production. Meier has a proven track record of providing medical device manufacturers with significant cost savings by converting from more expensive processes like metal injection molding and machining to lower-cost progressive metal stampings. Our facilities include an industry-leading validation process that takes micro stamping and metal stamping to the next level. Meier brings a level of operational excellence that has solidified our pioneering status in contract manufacturing, for example, we’ve earned our TUV certification, the gold standard in the industry for decades. Our fully validated quality systems, complete in-house capabilities, timely investments in cutting-edge technologies and innovative solutions to the most challenging components have made Meier a world leader in stamping precision medical components. Meier has applied its expertise to meet the demands of its customers in the medical device industry by providing complex metal stamped components, cost-reducing conversions and innovative technologies. Medical device innovations continue to push the boundaries of size and scale, seeking to increase the performance and functionality while reducing invasive footprints. At Meier, we take these challenges in stride, applying our design and manufacturing expertise to the demands of part miniaturization. 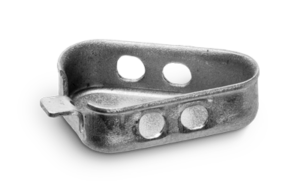 Our custom metal stamping can produce quality subassembly on a range of different metal densities, including aluminum, stainless steel, and copper. With a 35,000 square foot state-of-the-art facility, Meier has high capacity for orders ranging from small batch to hundreds of thousands of units with tolerances as high as .0005. Cost reductions are critical in meeting the market challenges of reduced reimbursement and competitive advantage. Meier is a leader in helping customers convert their existing component designs from traditional higher-cost manufacturing processes to lower-cost metal stamping when creating complex subassemblies from a prototype.